Created by perfumer Enzo Galardi, Agrumi Amari Di Sicilia was released in 2005. 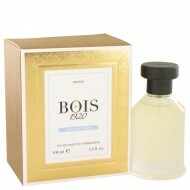 This unisex fragranc.. The clean, powdery scent of Bois 1920 Ancora Amore Youth perfume has been delighting both men and wo..
Sensual and intimate, a sprtiz of Bois 1920 Sushi Imperiale is the perfect fragrance to set the mood.. 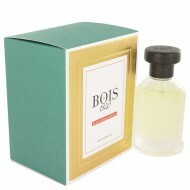 This wonderful unisex fragrance was created by the house of Bois with perfumer Enzo Galardi and rele.. Released in 2008, Come La Luna is a warm and magical blend of spice and woods. It has top notes of S..
La Vaniglia was created in 2010 as part of the Le Voluttuouse collection. It is surprisingly warm an.. Created in 2011 by Bois 1920, Oltremare is a sweet and floral fragrance for women who wish to leave .. This fragrance was created by the house of Bois 1920 with perfumer Enzo Galardi and released in 2013..
Fresh and fruity, Spigo is an alluring women's fragrance that leaves you feeling energized and ready.. 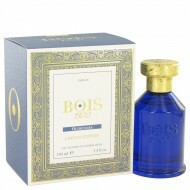 This fragrance was created by the house of Bois 1920 with perfumer Enzo Galardi and released in 2008..